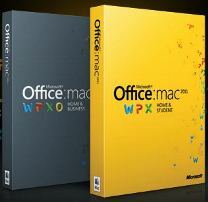 Microsoft has released the first service pack (SP1) for Office for Mac 2011. The SP1 will update Office for Mac 2011 to version 14.1.0. The SP1 update contains several changes that add functionality and improve security, stability, reliability, and performance, in addition to fix critical issues and vulnerabilities that an attacker can use to overwrite the contents of a computer’s memory by using malicious code. This update fixes vulnerabilities in Office 2011 that an attacker can use to overwrite the contents of your computer’s memory with malicious code. For more information, see the security bulletin that was listed earlier in this document. This update fixes an issue that causes Office 2011 applications to close unexpectedly when you open or use Office 2011 applications. Alt Text authoring is included. This update enables the authoring of Alt Text for objects, such as shapes, pictures, tables, charts, SmartArt, and movies in Office 2011 applications. The Solver add-in is included. This update includes functionality that lets you install the Solver analysis tools in Excel 2011. Reliability is improved when read-only options are enabled. This update fixes an issue that causes the open option to fail when open as read-only is available. Stability is improved when pasting large datasets. This update improves stability when a large dataset is pasted into a filtered range. This update fixes an issue that prevents some documents from being saved if they contain comments. This update fixes an issue that causes conditional formatting rules to fail when the rules are applied to a PivotTable report. This update fixes issues that cause incorrect page settings to be applied. This update fixes an issue that causes the wrong pages to print when specific pages are selected. Password protect functionality is included. This update includes functionality that lets you protect presentations in PowerPoint 2011 by using a password. This update fixes an issue that causes Print Preview not to update correctly. Save as Pictures respects slide dimensions. This update fixes an issue that causes slide dimensions not to be respected when Save as Picture is used. Playback of recorded narration is improved. This update fixes an issue that causes narration to drop out during playback. This update fixes an issue that causes a slide show not to automatically advance slides when Rehearse mode is used. This update increases support for Sync Services, and adds calendar, notes, and tasks syncing. This update introduces support for Microsoft Exchange-based Server-Side rules. This update reintroduces functionality to resend an email message to the same or new recipients. This update reintroduces functionality to redirect an incoming email message to other recipients. Meeting invitation functionality is improved. This update improves creating meeting invitations by including a list of recently used locations. Stability is improved when you open or save some files. This update improves stability with some file paths that contain nonalphanumeric characters. Spelling check error messaging is improved. This update fixes an issue that causes a spelling check error message to be shown repeatedly if the spelling engine does not load. Character spacing in draft view is improved. This update fixes incorrect character spacing in draft view. Find and Replace functionality is improved. This update improves the ease of use for Find and Replace. Custom toolbars, menus and keyboard shortcuts are retained. This update fixes an issue that causes custom settings to be lost when you save the document in some Word formats. Full Screen view shows all pages. This update fixes an issue that causes some pages not to be visible after the display uses Full Screen mode with a side-by-side page view. This update fixes an issue that causes some pictures not to print if they are inside shapes. Office 2011 SP1 for Mac is available for free download on Microsoft Download Center, or via the following official direct download link. The SP1 can be applied and installed on Office 2011, Office 2011 Home and Business Edition, Word 2011, Excel 2011, PowerPoint 2011, Outlook 2011, Communicator 2011, Office for Mac Standard 2011 Edition, Microsoft Office for Mac Home & Student 2011, and Microsoft Office for Mac Academic 2011.